Life in Mariposa is never dull or ordinary. It's a town full of eccentrics, where boats sent to rescue passengers from a sinking steamer have to be rescued themselves, where the leading citizen is a 280-pound illiterate saloonkeeper, and where a barber who stumbles into a fortune is heralded as a financial wizard. Referred to as "The Canadian Mark Twain," Stephen Leacock was one of the bestselling English-language humorists in the world. 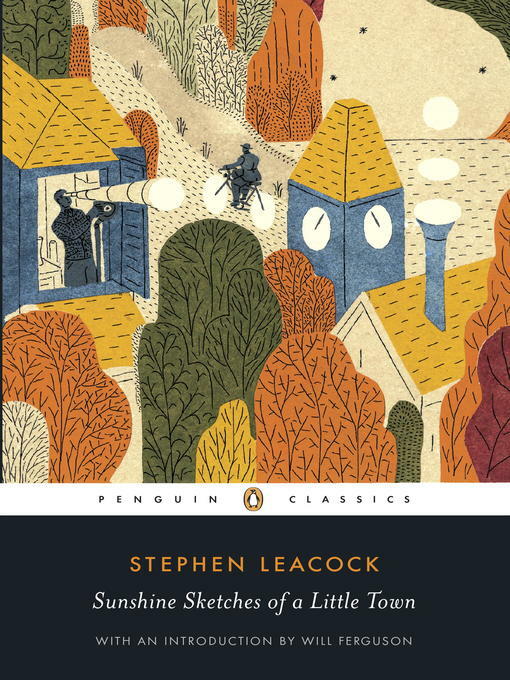 His most famous book, Sunshine Sketches of a Little Town, chronicles life in the fictional community of Mariposa, modelled on Orillia, Ontario, where Leacock spent many summers. It's a brilliant satire about small towns, small-town people, and small-town occurrences. Available for the first time in enriched e-book format, this edition offers visual and historical insights into Leacock's creation via electronic weblinks. Like a full-colour footnote, select words and phrases throughout the book are links to websites that contain a wealth of additional information, pictures, definitions and historical notes. Now, with the click of a mouse, you can investigate the world of Mariposa without having to leave your screen.